The book you are holding in your hands is perhaps the simplest, most straightforward summary and how-to guide for presuppositional apologetics now in print. It is both informative and practically helpful. I believe you will fi nd it an extremely useful tool whether you are an professor at the seminary level seeking supplemental reading material or just a simple lay person looking for practical answers. Pastor McManis writes with crisp clarity in a way that is certain to give you fresh insight into what Scripture teaches about the defense of the Christian faith. 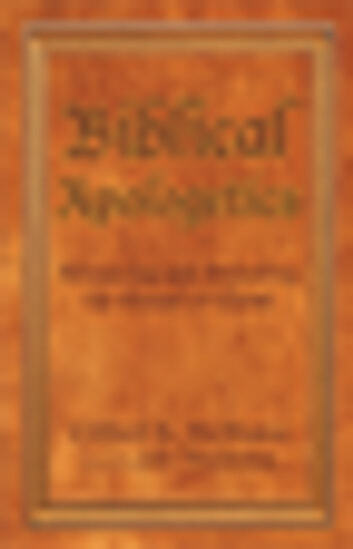 I wish this book had been available when I was studying apologetics in seminary." John MacArthur, Pastor-Teacher, Grace Community Church; President of The Masters College and Seminary Cliff has rescued the discipline from the elite circle of the intelligentsia and returned it as a biblical theology of truth communication to the common people (i.e. to all believers). 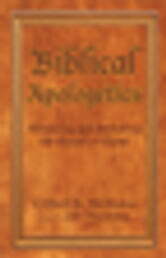 This volume will be of great help in the restoration of the practicality of biblical apologetics as it was exemplified in the early Church. Hopefully, todays readers will be able to understand and put into practice the true nature of Peters command in 1 Peter 3:15 as it is strategically situated in its defi ning context. George J. Zemek, Academic Dean, The Expositors Seminary, Jupiter, Florida. C. H. Spurgeon - Sermons on Prayer: 40 Powerful Sermons to Ignite Your Prayer Life!